New German Bavarian Oktoberfest Trachten. 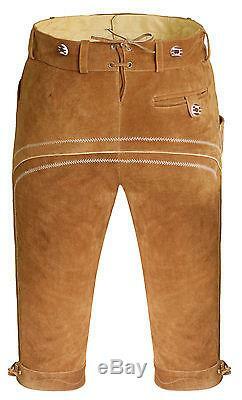 Kniebund Lederhosen Package / Set. 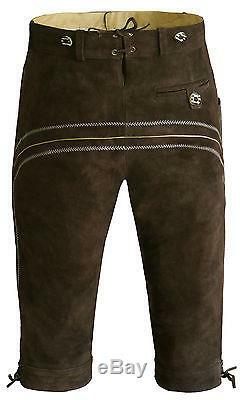 Oktoberfest Kniebund Lederhosen Package / Set in 3 colors. 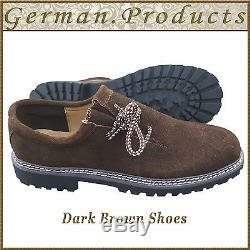 (Dark Brown , Light Brown , Black). 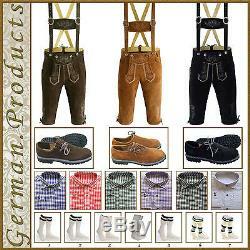 1 Kniebund Lederhosen + 1 Matching Suspender + 1 Dress Shirt + 1 Pair of Shoes + 1 Pair of Socks. Lederhosen Size & Color =? Shoes Size & Color =? Shirt Size & Color =? Socks Size & Color =? Short Description of our items. Brand-new / Never worn before 100% Cowhide Suede Leather. Two Pockets on Front side , one knife pocket on side & one back Pocket. Original Bone Buttons & Very good other material used for this product. Matching suspender & Very Good Fitting of Kniebund Lederhosen. Very Good Quality and Thickness of Leather. 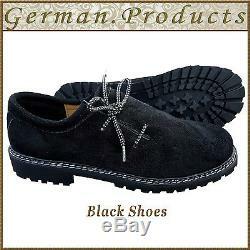 Brand New Shoes made of very good quality of cowhide suede leather. 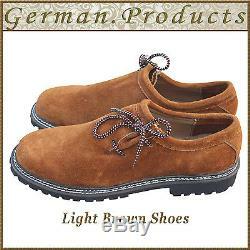 Matching Shoes Laces and very good quality sole used for these shoes. Brand New Packed Trachten Shirt Never worn before. Brand New Packed Trachten Socks Never worn before. Note :- All companies have their own size chart. We request you that please choose your Lederhosen size according to our size chart so that you don't have to return it for bigger and smaller size. Please measure your Waist , Hip , Thigh before your order. Our all Lederhosen will be the same measurement which you can see in our size chart. 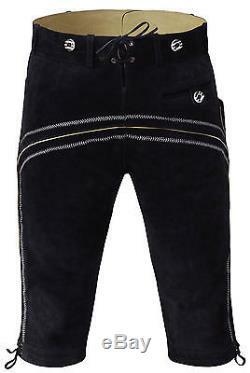 Lederhosen Available Sizes In All Colors. Shoes Available Sizes In Colors. 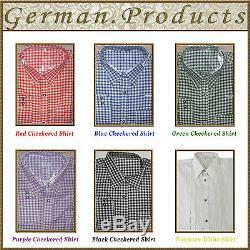 Shirts Available Sizes In Colors. 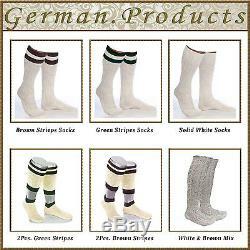 Socks Available Sizes In All Colors. We strive to provide our customers with highest level of service and the finest quality products. We will try our best to resolve your complain as soon as possible.